We will be closed on Good Friday and Easter Monday. 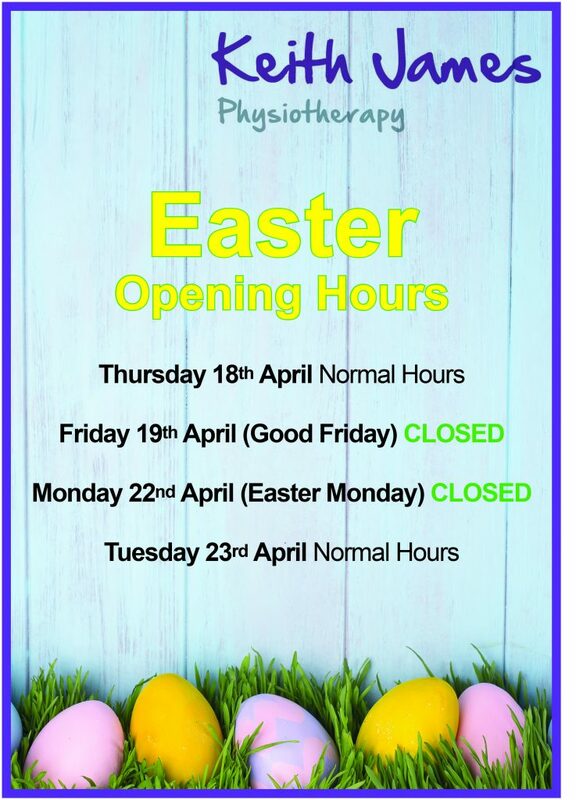 We are open for our normal hours on all other days over the Easter period. We hope that you all have a lovely Easter Break! Thinking about what to buy as a Mother’s Day gift this year? Sometimes flowers and chocolates are not quite what you are looking for. So, what else could you buy for your hard-working Mum? 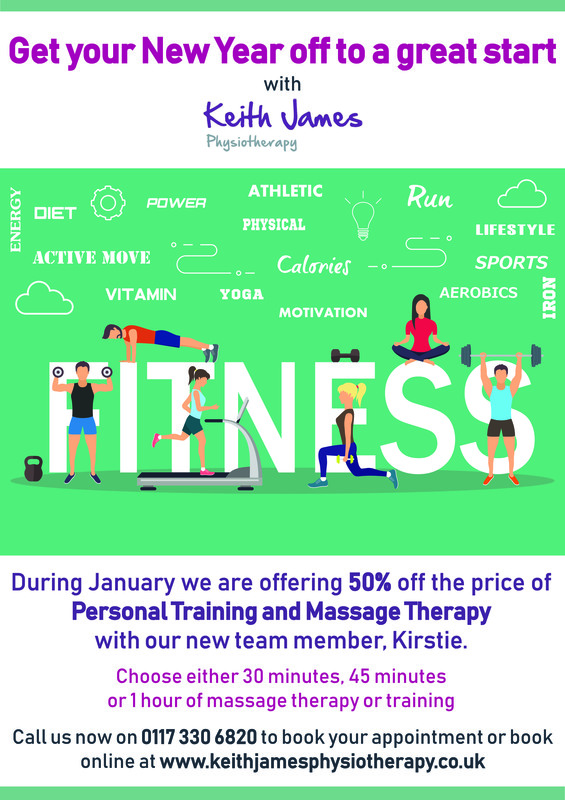 At Keith James Physiotherapy we have Vouchers for Massage Therapy Treatment or Personal Training. Voucher cost £24, £35 or £45 and will allow your Mum to have either 30 minutes, 45 minutes or 1 hour of either massage or personal training. Drop in to the clinic or contact us on (0117) 330 6820 or email us at reception@kjpclinics.co.uk to find out more. 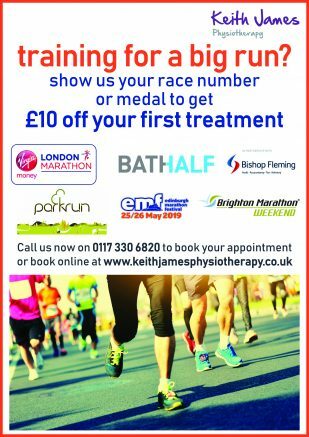 With a number of big running events coming up, we thought that it would be good to let you know that the team at Keith James Physiotherapy is here to help you prepare (and recover) from whichever running event you are taking part in. 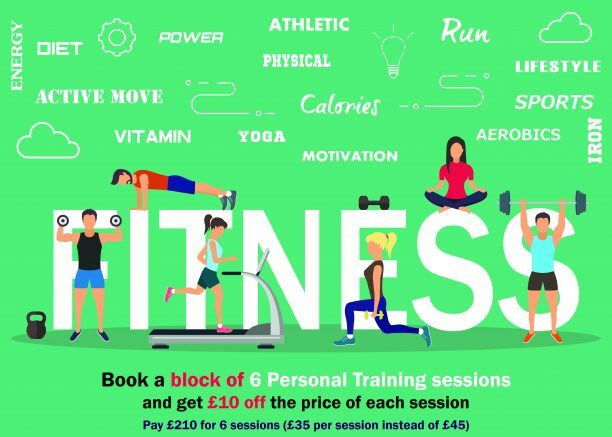 Whether it’s a weekly Park Run – or the full 26.2 miles of the London Marathon – we can help you to get fit for the challenge. Common complaints associated with long distance running are Runner’s Knee, Shin Splints, Stress Fractures, Achilles Tendinitis, Plantar Fasciitis, Muscle Injuries, Ankle Sprains and Blisters, Corns and Bunions. 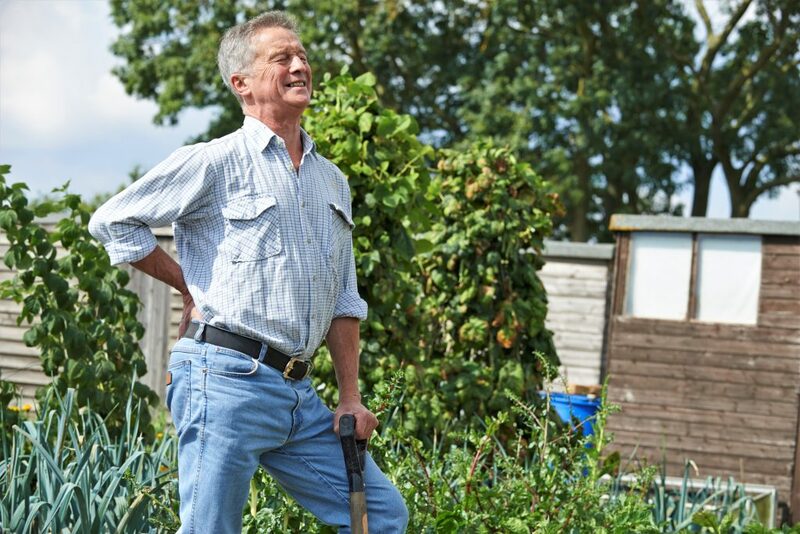 Our team includes Physiotherapists, Sports Massage Therapists, a Personal Trainer and a Podiatrist/Chiropodist – who are all here to treat these complaints and give advice on how to avoid them in future. And when you have finished your run, book yourself in to see us about any aches and strains you picked up along the way. We are offering £10 off the price of your first treatment when you show us your race number or finishers’ medal. Last year we increased the duration of our appointments from 30 to 40 minutes, without increasing the cost of our Treatments. From 1st April 2019 we will be making a small increase to our treatment prices. These new charges are listed below. Are you thinking about your fitness goals for 2019? 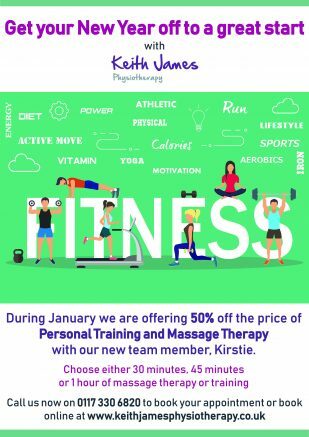 Why not start your new year off with a Sports Massage or Personal Training session with Kirstie, the latest addition to the KJP team. We are offering 50% off all appointments with Kirstie during January. 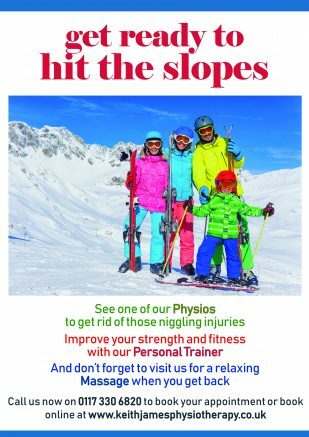 Call us on (0117) 330 6820 or visit our website www.keithjamesphysiotherapy.co.uk to book. Prices during January are £12 for a 30 minute appointment (usually £24), £17 for a 45 minute appointment (usually £34) and £22.50 for an hour appointment (usually £45). Many of you will know our Massage Therapist, Lauren Sones. 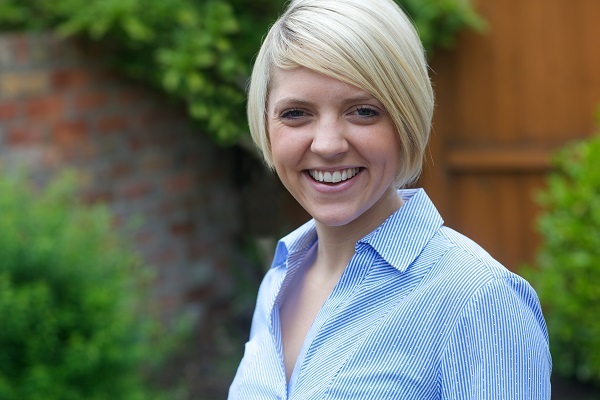 She joined Keith James Physiotherapy almost a decade ago and has become a well-loved member of the team – always cheerful and smiling and ready to sort out your aching limbs! In January 2019 Lauren and her husband will be beginning a new adventure in Dubai. So – it is with heavy hearts this week that we say ‘Farewell’ and wish them both the best of luck. Lauren’s patients do not have to worry about their next massage appointment – we have a new massage therapist starting with us on 7th January (more information to follow).